Treasury Secretary Steven Mnuchin said Tuesday that his department intends to “follow the law” and is reviewing a request by a top House Democrat to provide President Donald Trump’s tax returns to lawmakers. The head of the IRS, meanwhile, agreed with Democrats that it’s primarily his decision to make — though he reports to Mnuchin. 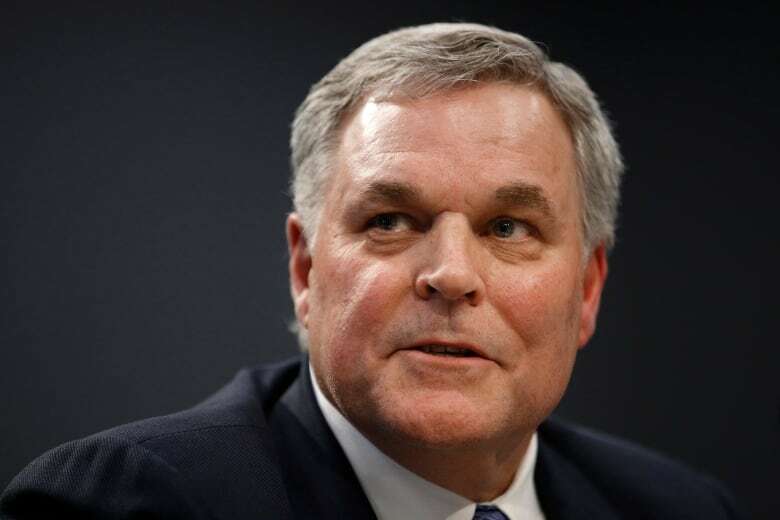 IRS Commissioner Charles Rettig told lawmakers that “we’re working on” a response to a request from Ways and Means committee chair Richard Neal. Rettig returns to Capitol Hill on Wednesday, appearing before the Senate finance committee. Trump has broken with tradition by not voluntarily releasing his tax returns, repeatedly claiming he can’t because his organization is under audit. “While I’m under audit, I won’t do it,” he said Wednesday morning from the White House lawn before departing for an event in Texas. “Frankly the people don’t care,” he added, pointing to the fact he won the 2016 election bucking the recent practice of candidates regarding tax returns. Rettig reiterated Tuesday that there’s no rule prohibiting taxpayers under audit from releasing their returns. “It is our intent to follow the law, and that is in the process of being reviewed,” Mnuchin told a House appropriations subcommittee with responsibility for his budget. Neal, a Democrat from Massachusetts, requested the returns last week in a letter to Mnuchin and set a deadline of Wednesday to provide them. Mnuchin says he “looks forward to responding,” but it appears clear that Treasury won’t meet the deadline and actually produce the returns. Acting White House chief of staff Mick Mulvaney said Sunday that lawmakers will “never” see Trump’s returns. But the White House is supposed to stay out of the decision, and Rettig said he’s had no contact with anyone there. Financial Services chair Maxine Waters, a Democrat from California, citing a long list of Trump administration officials who have departed, pressed Mnuchin on whether he was worried about being fired if he complied with the request. Neal requested six years of Trump’s personal and business returns, relying on a 1924 statute that says the Treasury Department “shall furnish” them when requested. The IRS is part of Treasury. Republican members of the panels rose to Trump’s defence. “We have no evidence of anything nefarious. We have no evidence that there’s any wrongdoing,” said Chris Stewart, Republican from Utah. Stewart said the request tramples on Trump’s right to privacy. During the 2016 campaign, Rettig defended Trump’s decision to break with tradition by refusing to release his tax filings. Under questioning at his confirmation hearing last August, Rettig pledged to uphold the political independence of the IRS.